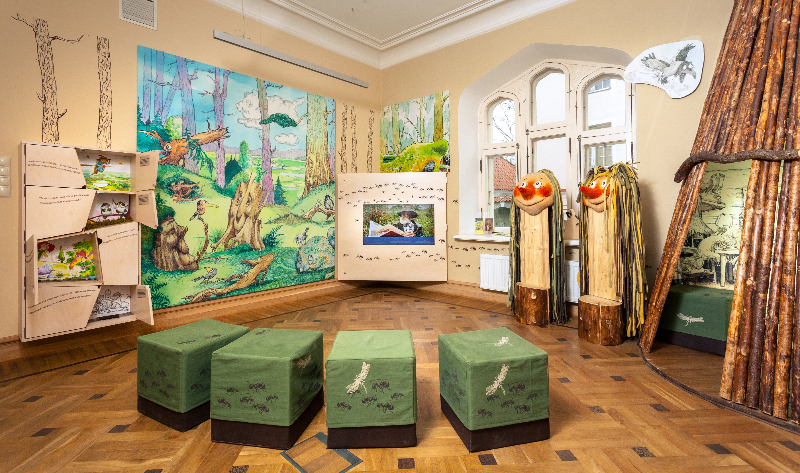 Welcome to the magical World of Children`s Literature! 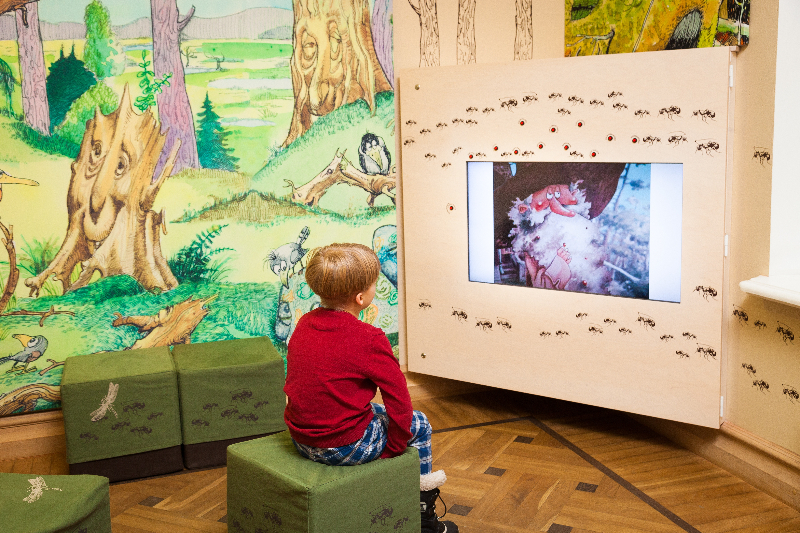 The Estonian Children’s Literature Centre is a home for children’s literature from Estonia and a variety of other countries. In Tallinn’s stunning Old Town you can find a yellow villa, which is a home for the Centre’s Library, Museum, Illustration Galleries, and the Fairytale Attic. 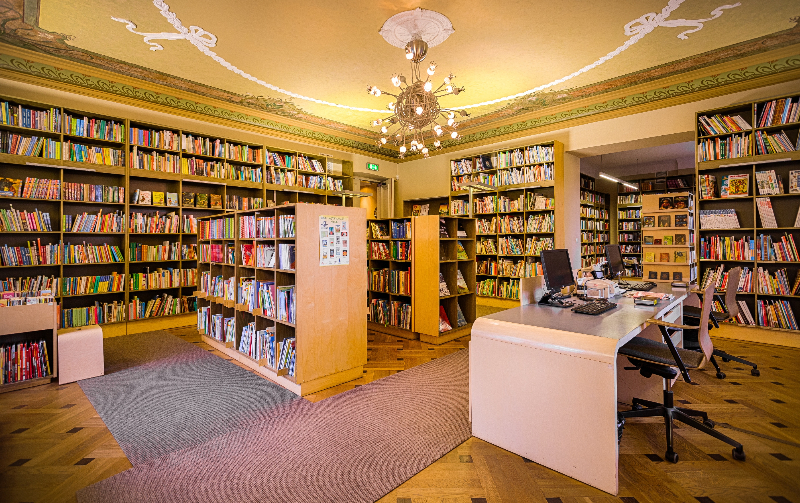 Visitors can spend a pleasant and enriching time with our fine selection of children’s literature at the Centre and have the opportunity to participate in joint undertakings associated with stories from the books. 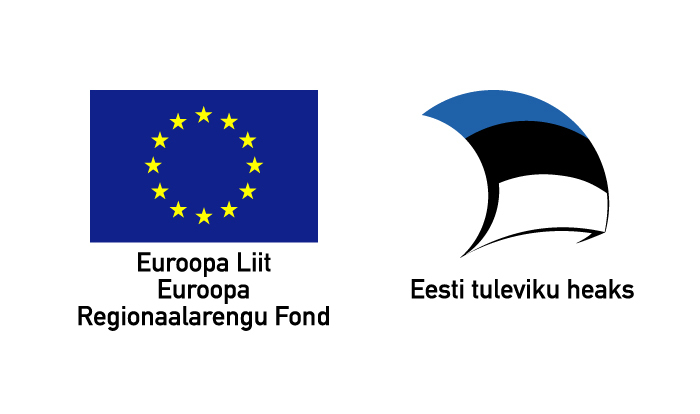 Our Library focuses on Estonian children’s literature. Visitors can see and read books on site or take them home. In order to borrow books, visitors must register as a library user, every reader then receives a library card. 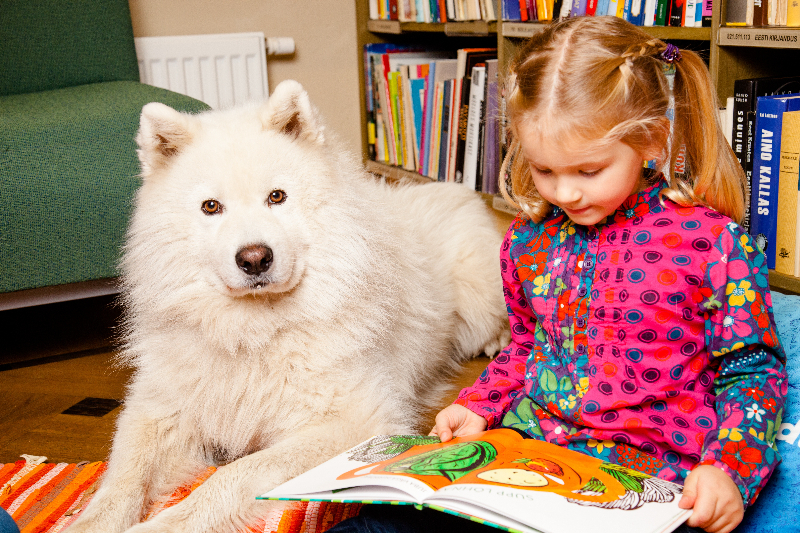 Once a week children can practice reading with “reading dogs“ in the library. 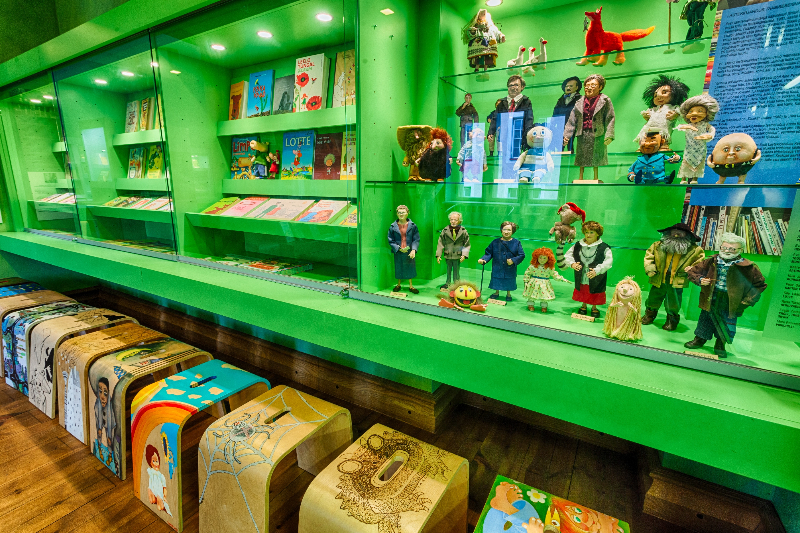 The Children’s Book Museum displays Estonian children’s literature throughout the ages and opens up the world of literature to curious young minds. 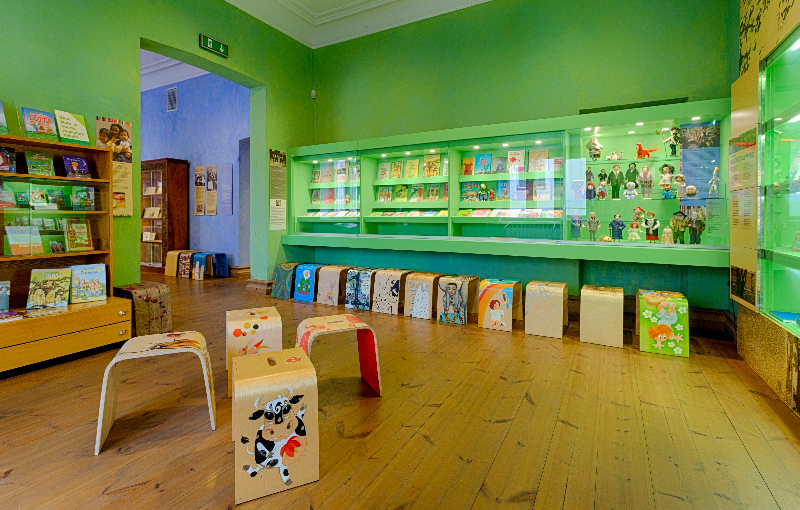 Here you can also find a collection of stools painted by Estonian artists. 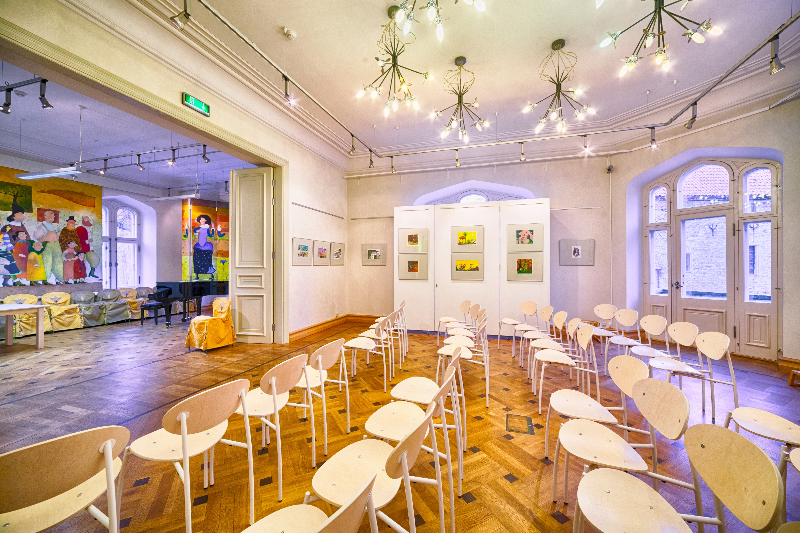 The Edgar Valter Gallery presents original works and stories from one of Estonia’s most beloved illustrators and writers. In the Illustration Galleries, we show illustrations of artists from Estonia and abroad. 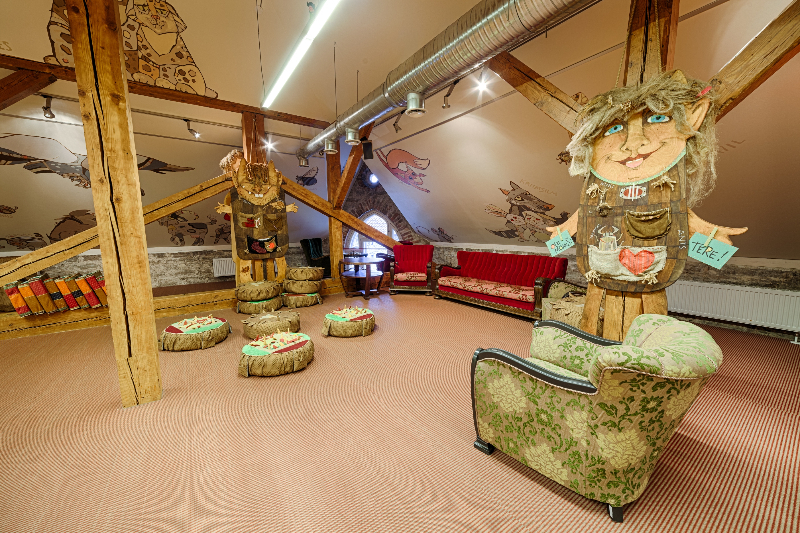 In our Fairytale Attic, painted by the artist Piret Mildeberg, visitors can admire the world of our mascot Nukitsamees. – Every Saturday there are family mornings that take place here, with readings, playing and handicrafts, all inspired by books. – The smallest readers are welcomed twice a week. During the toddler hour children get acquainted with books by playing games. – For schoolchildren the Centre offers numerous hobby circles, where children and youngsters can develop their creativity. The art chamber and word chamber take place every week. Special programmes for schoolchildren are offered during school breaks. 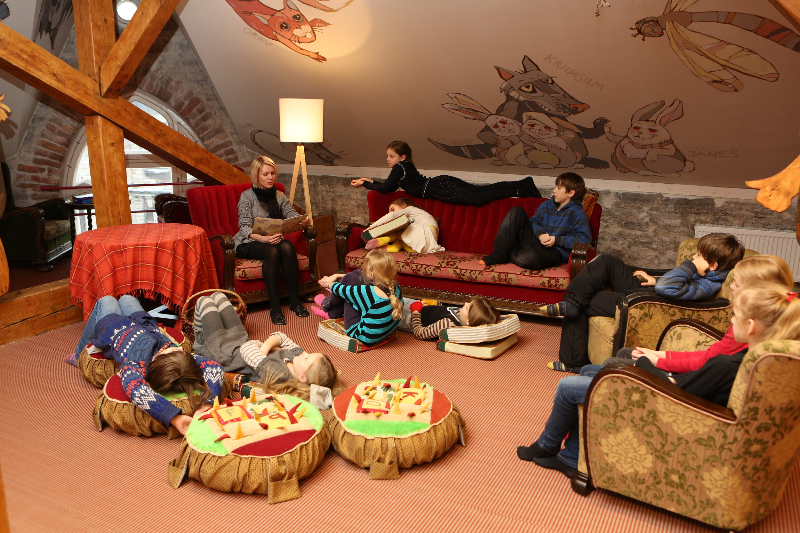 We have interesting activities for everyone, both children and adults. Please come visit us!